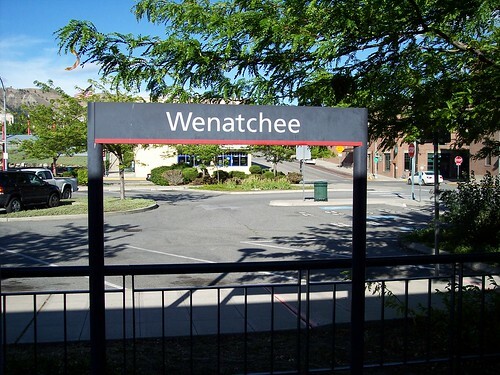 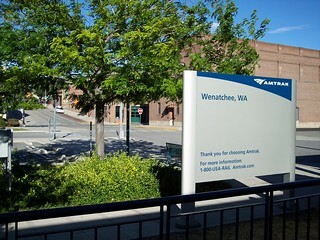 We were able to stretch our legs during the stop at Wenatchee. 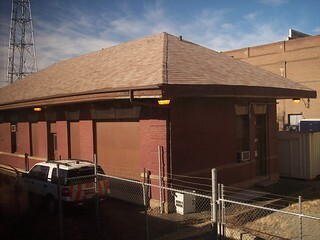 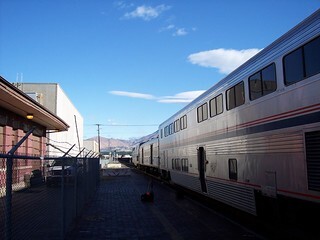 An old railroad building sits next to the platform and is in the same style as the former station building, though much smaller. 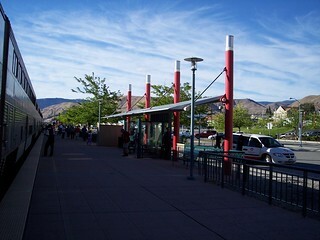 A modern canopy and signage replaced the former depot. 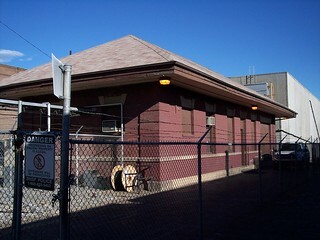 Some of the old brick platform is still visible near the front of the train.